Professional Engraving Services - We Are Your Engraving Experts. Saymore Trophy offers custom engraving services for all your needs. Whether you need precision engraving for adding on additional text or fine detail engraving on a piece of jewelry, we can handle your engraving request. Did you know that many engraving, jewelery, and sign shops turn to Saymore on a daily basis for all their engraving and printing needs? We utilize the latest software and machinery to help ensure we maintain the precise and expertise engraving you demand. No matter what the application you can trust in the Saymore Trophy team to provide you with a quality personalized product, whether it be for a wedding gift or an engraved control panel utilizing technical data and CADD drawings. We engrave on many different types of materials. We engrave everything from fine jewelry to control panels. We provide aluminum engraving, brass engraving, laser engraving, plastic engraving, silver engraving, stainless steel engraving, and wood engraving. Laser Engraving Services - We will laser engrave your products - Wood, Plastic, Marble! You can trust that Saymore keeps on top of cutting edge technology! 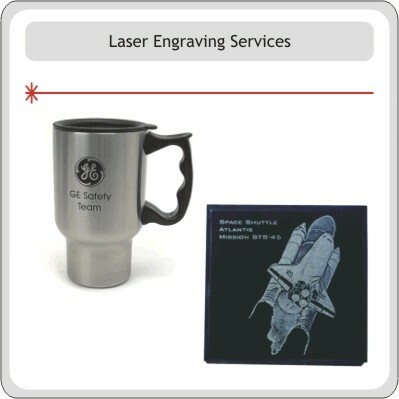 We utilize laser engraving machines to mark a wide variety of products. We can engrave plastics, as well as marble, stone, and many metals. We will laser engrave into wood and most other products. Laser engraving allows for high detail artwork which can be lasered onto black marble, stainless steel, and much more. Lasers are often used to engrave into wooden products, such as Baseball Bats, Wooden Canes, and so much more. You can bring in your special item and we will engrave it for you. The possibilities of laser engraving is only limited to your imagination. Visit us today and let us show you the power and speed of laser engraving technology. We are your industrial engraving experts. 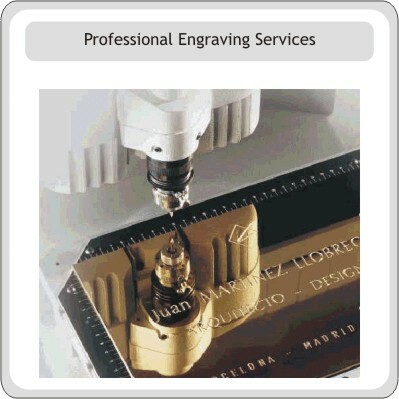 Are you looking for a professional engraving company to help mark your specialized products? 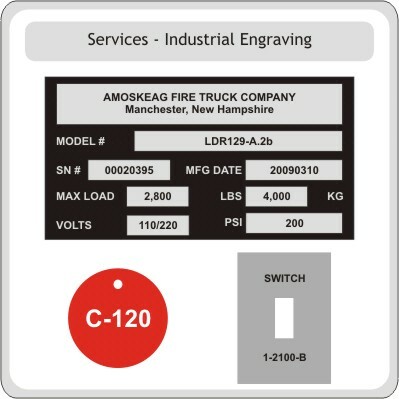 We offer precise engraving and fabrication services for your tags, data plates, control panels, and other types of plates, such as electrical switches and outlets. We have the capacity to deep engrave and paint fill a variety of metals, such as aluminum and stainless steel. We also use laser engraving services to etch stainless steel with Cermark, a chemical bonding process utilizing ceramic. You can trust in Saymore to read precise drawings and provide accurate engraving in size, placement, and depth. Call us today for your custom quote. Custom Engraving Services. 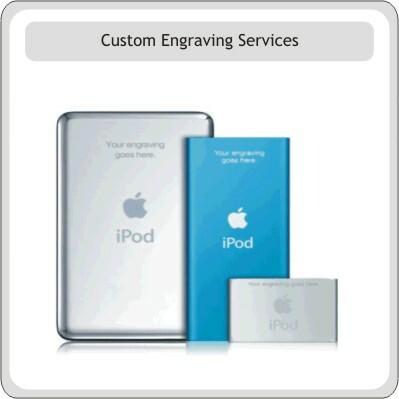 We will engrave your items - IPods and MP3 Engraving! You can trust in our professional engraving services to personalize your special item, such as IPod's & Electronic Items, Gifts, Jewelry, and even Guns and Swords! See why other engraving, jewelry, and trophy shops turn to Saymore for their own specialy engraving needs. We utilize both advanced computerized engraving machines and hand operated Pantograph engravers to carefully personalize your cherished items. So many other engraving, trophy, and jewelry shops turn to Saymore Trophy for our expertise in engraving. You too can trust in us like so many other businesses and individuals do on a daily basis.